London: Aloes Books 1973, 25 signed and numbered copies. Another collection of previously published articles, mostly from magazines. Maynard & Miles A24a. _____ 975 copies in the trade edition. _____ second printing of 500 copies with slight changes to the wrapper design. _____ variant issue of second printing omits title and author on upper wrapper and printing statement. Print run unknown. _____ 1974, the third and final printing, bound in wraps. There’s also a French edition titled “Le Metro Blanc”, including all the material from “White Subway” and many other articles. Does anyone know if these articles are available in English? It seems of them come from “Minutes To Go” but I’m not sure about the others. There is a lot going on in the French edition. I think there are quite a few Claude Pelieu pieces and quite a few Carl Weissner things as well. Also, I can’t confirm that ALL of the White Subway stuff is in there. This is a great observation, Paulo. The french edition of White Subway, at least the last one, is a mess: no table of contents, no information about where the texts come from/who wrote them (re-the possibility of Pelieu/Weissner stuff in there). The essay “Burroughs in Tangier” by Bowles and Ansen isn’t there – there’s a simple introduction by Miles. 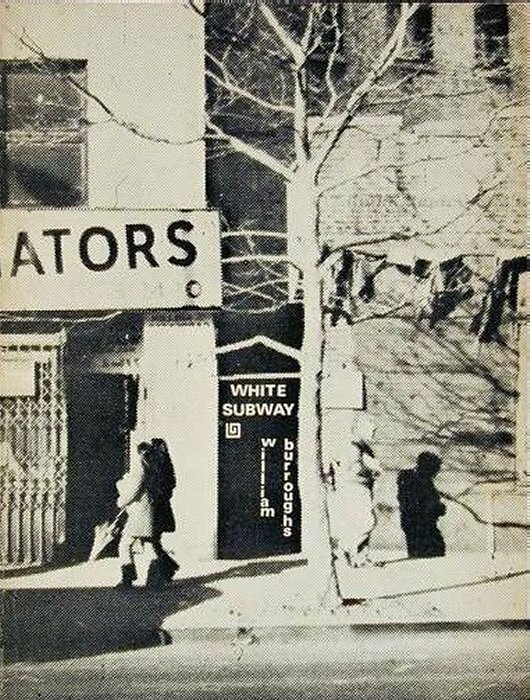 The french edition of White Subway, at least the last one, is a mess: no table of contents, no information about where the texts come from. A few texts by Pélieu at the end of the book, and the Retreat Diaries and Cobblestone Gardens are added to the book. The essay “Burroughs in Tangier” by Bowles and Ansen isn’t there – there’s a simple introduction by Miles.